Multiple Offer Situation, Highest and Best offers due 11/13/18 by 6 PM! Wonderfully private 3BD/2BA home with a fabulous open floor plan, nestled on a large .38acre lot embraced by mature trees with direct lake access! This single-story home assures plenty of space to enjoy the lake and nature views with spacious Florida room and screened lanai for entertaining. Great curb appeal welcomes you into this warm, light-filled home where vaulted ceilings crown the open concept layout. The bright and airy kitchen/living area is fantastic for family gatherings, yet the house still lends itself to quiet retreats when needed. The split bedroom layout tucks two bedrooms with shared full bath on one side of the home, while the master enjoys seclusion that the opposite end. This retreat is emphasized by its full ensuite bath and walk-in closet. The expansive and private yard offers up a number of uses, perfect for hosting BBQs or growing your own garden oasis. Spend your evenings enjoying a glass of wine under the stars to the peaceful symphony of gentle breezes as they glide over the lake and sift through the trees. All around, this home is ideal for the outdoor enthusiast! 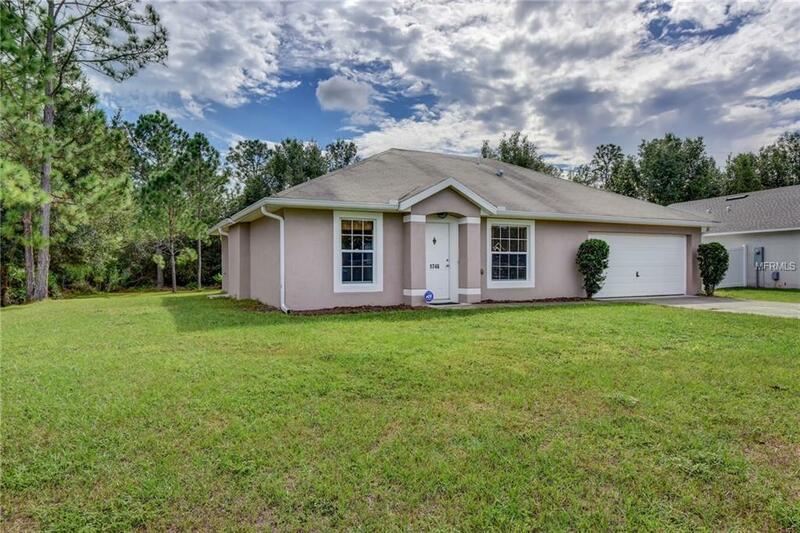 This exceptional location is perfectly positioned close to major highways as well as a middle point the famous Daytona Beach and Downtown Orlando. Near to schools, shopping and parks, this home makes sure you are never far from the area's best. Call for your private viewing today to experience the tranquility and convenience for yourself! Listing provided courtesy of Vos Real Estate Llc.